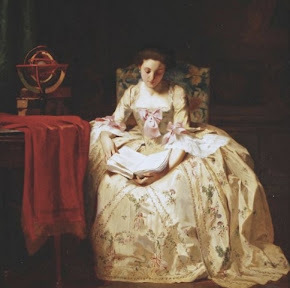 A year or two into her marriage, Elizabeth Darcy has much on her mind: she has still not produced an heir for Mr Darcy, there are preparations to be made for the Pemberly summer ball, and her youngest sister Lydia has been abducted by aliens. As Regency England sleepwalks towards tentacled oblivion, will she be able to reunite with her old foe Wickham and put a stop to their evil plans? Eeeeeeeeeeeek! The end of the month is upon us. And here am I, at a loss in regards to posts I had envisioned to do for my Jane in June and Books&Brioche features this month. Make sure and check out all the Jane goodness happening at Book Rat's Jane and June event as last giveaways and goodies are going up as I write! Fortunately, Books&Brioche ends in August so there is still time yet. AND, what sweetness is riding our way... the Tour de France starts tomorrow! By the way, I've since been told that I got the title completely wrong. It should be Orgueil et Préjugés. Oops. Still, the video did win the coveted third place slot in the March 2010 You Gotta Read Videos awards. Check out the entry for George Elvis deLonghi Wickham in Wickhampedia. 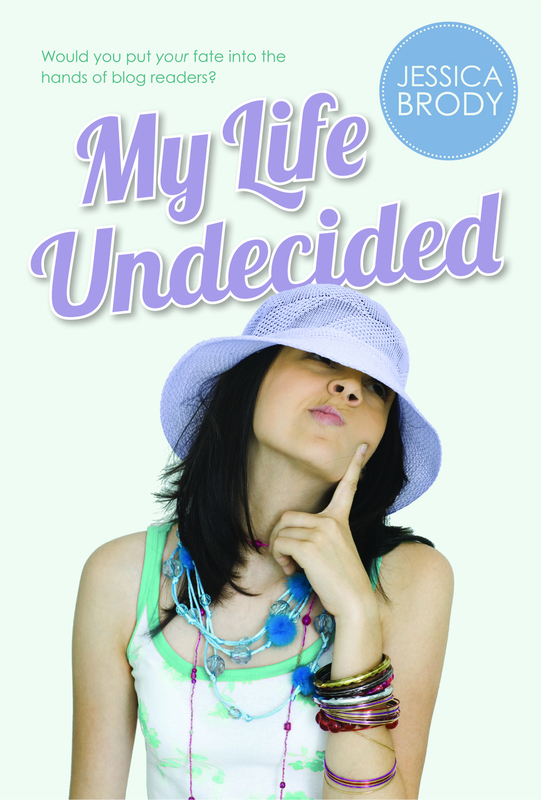 fyi: this story started off as a free online serial and has evolved into a book! 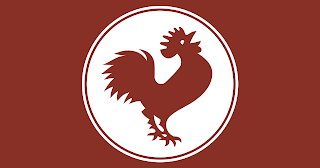 Let me know in comments if it is a book you would like to read. Thank you dear adventurers for joining me and Alice for this virtual book event. Our Alice makes it out of the maze adventure without further incidents. She decides to rest awhile by the river bank. 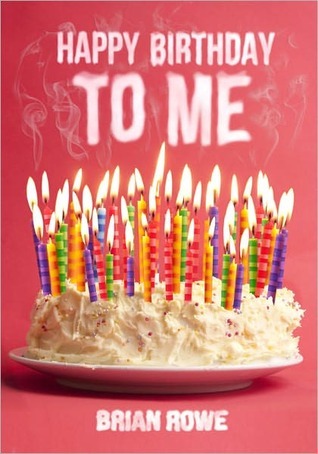 Win an ARC of this book! Explore Bill's site and tell me something interesting you found there. His head felt as though it had been hit with a wrench. He’d been hit with enough to recognize the heavy pain, but the sweet and grainy danger lingering on his tongue let him know the laudanum would soon quell it. He was safe, the world would be right again, and the Opium Girl had his best interests at heart. Not that he cared especially about her heart. She knew what he really wanted and she held it just out of reach, glancing coyly over her shoulder as she bounded around the twists and turns of the garden, farther and farther away from the notorious Captain Jack Racine. The girl must have been mad. He nearly crashed into her when he made the next turn. She had stopped running, and she looked slightly different: more petite. Even from the back, Jack knew that she wasn’t his type. Petite girls were too easily spent, too easily offended. Then again, there were always exceptions to the rule. She looked like a living doll: her golden hair perfectly coiffed, her dress newly-pressed and trimmed with Brussels lace. He’d had similarly-dressed girls from Caribee Island, but he wouldn’t be repeating those occasions with this one. “Alice. My name is Alice,” the girl said with a curtsey. “A pleasure. Captain Jack Racine. Say, you didn’t see another girl around here, did you? A little taller, a little fuller,” he said, stopping himself just before he made an inappropriate gesture. Jack didn’t take much notice of his surroundings until then. He’d seen the greenery in pursuit of the Opium Girl, but with the possibility of good sport around the next bend, he hadn’t taken note of its arrangement. 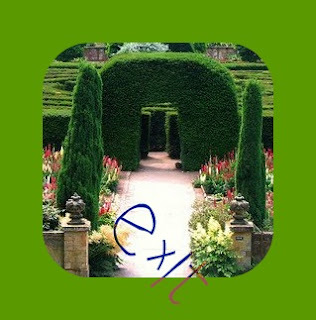 The garden was in fact a widely-spaced hedge maze, taller and thicker than he could have ever imagined. Jack plunged his arm into the hedge and when he withdrew his hand, it was covered in verdant picocrystals. “Oh, we’re in my mind. Thank Azaz,” he sighed. 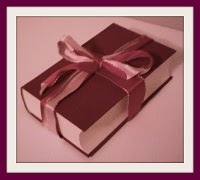 He opened his hand and blew the picocrystals away to reveal a biscuit with words written in pink icing. “Eat me?” Alice read over his shoulder and Jack snorted. “I’ll do it,” she said, and before he could conjure a false protest, Alice popped the biscuit in her mouth and swallowed. Her stomach growled and she clutched it with a bashful grin that suddenly grew massive. All of Alice grew massive actually. Jack fell into a hedge as Alice’s head made a quick ascent to the clouds. 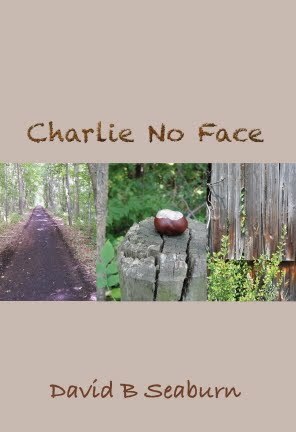 He could barely make out her face for the wisps of white around her neck. 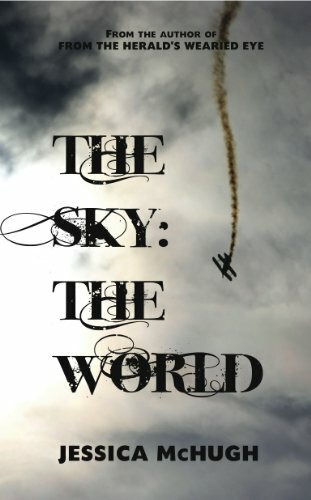 “I see a plane,” she said in a thunderous voice that rumbled all the way down to Jack’s soles. Her mammoth feet shifted, and Jack was forced to remember his dancing skills. 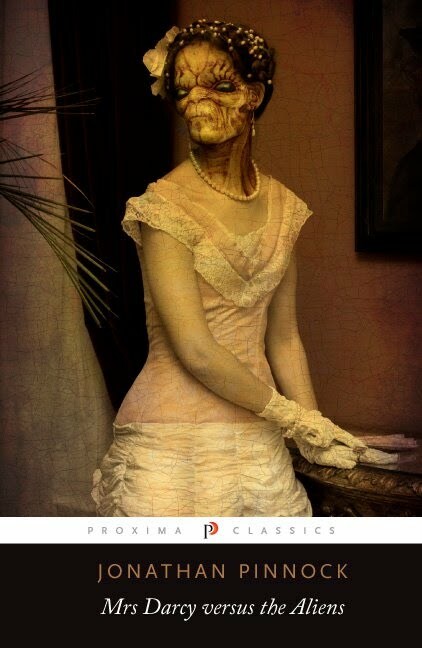 Luckily, the laudanum was a natural cultivator for cavorting. Whether he was actually nimble on his feet or not, he was smooth in his haze and dodged every move she made, including when her massive fingers placed a plane on the path. The Sherwood was as pretty as ever, sparkling in Doctor Azaz’s mechanical dream. The interior looked like new. Even the yoke was free of the teeth marks from the whiskey-filled night when Jack played "Hide the Banger in her Hangar" with the girl from Caribee Island. There was a vial sitting on his seat; not exactly a rare sight, but vials that graced the seat of the Sherwood were always empty, carnage from the previous night that had tumbled from his pocket in flight. However, this particular vial was full, and it was labeled with the phrase “Drink me”. Under the usual circumstances, he would have gulped the contents gladly without thought, but the last thing he wanted of his intoxicants was to be demanded into imbibing. It was difficult for Alice to take the vial from Jack's outstretched hand. Like sausage trying to pluck a pin from a cushion, it teetered and nearly toppled, but victory hit when the elixir touched her lips and called her back to smaller heights. Alice shrank, crouched next to the Sherwood, panting and puffing while Jack looked down from the cockpit. He helped her inside and couldn't help but chuckle when her face lit up. He always loved showing off the Sherwood, especially to women. If not for her age, he would have shown her a true wonderland, but he showed her the way out instead. The hedges were no match for the Sherwood. 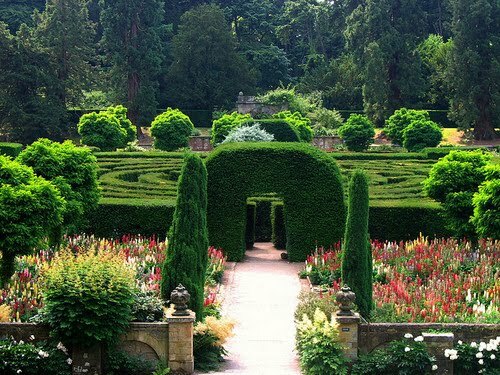 Even if it hadn’t been a cruise through intoxication, it would have cut the garden to ribbons and left only the memory of imprisonment. The plane turned maze into runway and haze into reality. Jack was holding Alice’s hand as the laudanum wore off and his own throbbing head as sobriety kicked back in. He didn't clearly see the woman who sauntered out of his bedroom: an amazing thing considering what treasures she had to see. The wrench-ache peaked and he buried his head under his pillow. She ripped the pillow away, and although he flopped over angrily, his mood was lifted by her lack of garb. “Well? Are you going to try the tray or not?” she asked, hands on hips, toe tapping, and charms bouncing with her impatience. The tray on Jack's bedside table was draped in Brussels lace and piled high with various cakes, biscuits, and drams of flavored tea. She sensually pressed one of the biscuits to her mouth, powdering her lips with sugar. The wrench stopped striking his head when she straddled his waist and the powder sprinkled her chest. Again, he wasn't thrilled at the prospect of being ordered around by his indulgences, but he also wasn't in the mood to argue. The laudanum had worn off and he was free of the haze, but the maze was a different story. Captain Jack Racine was still stuck in those hedges, and he was likely to remain so. Visit Jessica's Projects page on her site and tell me which one(s) catch your interest. The fairy from the maze flutters about on this bright summer day and notices a figure at a stand still in front of the mirror of darkness. OY! maze fairy exclaims. She swoops down to the rescue. She hovers and taps on Alices's head and receives no response. She taps on upon Alice's shoulder to draw her attention away for the ominous mirror. But Alice continues to see the horrors emanating before her. Finally, she taps on the tip of Alice's nose. AND, Alice eyes rest upon her. Hello? Alice responds with a tentative smile. 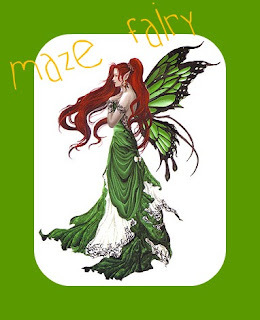 Dear girl, come away from that and follow me for a lighter, brighter tale.... maze fairy trills in her tinkling voice. For more, here's an excerpt. Watch the book trailer above. Tell me which illustration you liked. 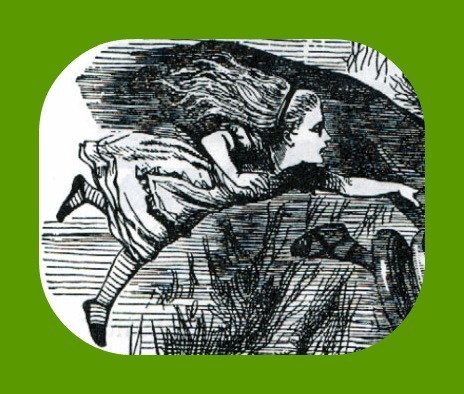 Alice turns the next corner in the maze and happens upon a mirror. She looks in and sees herself with her trusty vorpal sword. BUT it is a darker self. Alice: Madness Returns is a video game for Microsoft Windows, PlayStation 3, and Xbox 360, released on June 14, 2011, in North America, June 16, 2011, in Europe and June 17, 2011, in the United Kingdom. 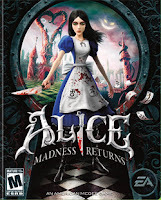 It is the sequel to the 2000 Windows and Mac video game American McGee's Alice. McGee, who designed the original game, returns to design the sequel after EA partnered with McGee's studio Spicy Horse. 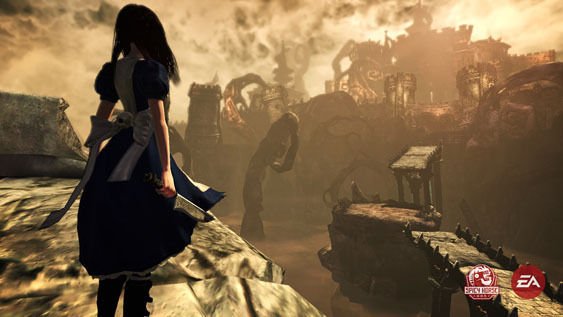 Alice: Madness Returns takes place immediately after the events of its predecessor. Alice was released from Rutledge Asylum for the Wayward and Lost Souls at the end of the original game and now lives at an orphanage in Victorian London under the care of a psychiatrist named Doctor Angus Bumby, where she is still traumatized with memories of her parents' deaths. While heading to a Highstreet chemist, Alice follows a cat to an alley, where, after being confronted by monstrous half-human, half-Jabberwock creatures, she meets up with Nurse Witless from the asylum. Witless implies that Alice has revealed secrets about her family's demise while in the asylum and believes Alice is still very unstable. 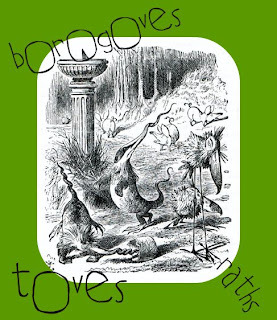 While at Witless's place, Alice suddenly has a vision of her appearing in Wonderland and the Cheshire Cat appears and tells Alice a new law reigns on Wonderland. 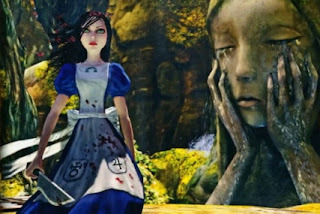 Now back in Wonderland, Alice begins to uncover her submerged memories of the fire. The Duchess gives Alice her Pepper Grinder and asks her to retrieve Pig Snouts for her. 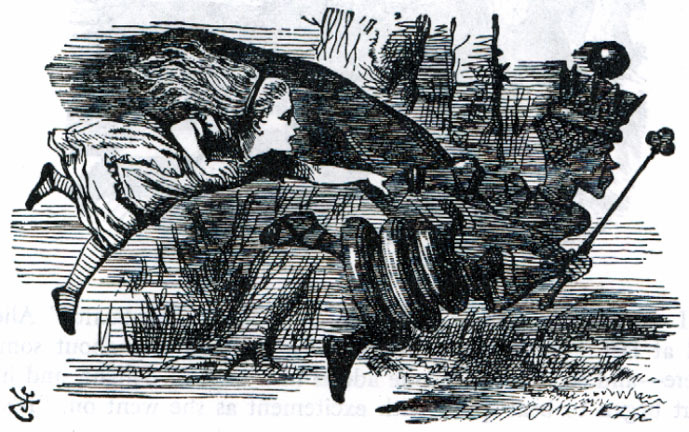 Afterwards, Alice continues on to the Mad Hatter's realm, as she and the Cheshire Cat believe that Hatter may have something to do with the ruin destroying Wonderland. READ the rest of this storyline at wikipedia. REVOLVER: As twisted as Carroll’s book can be at points, it’s still a children’s fairytale. Why has it had such a huge impact on this particular horror game and, in your opinion, horror and hard-rock music in general? 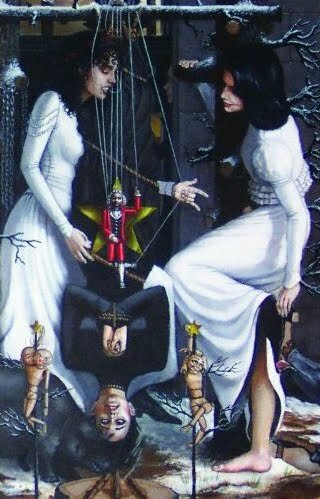 AMERICAN McGEE: The original books provide an amazing wealth of ideas for characters, setting and story. Alice herself has appealed to generations of readers, and by virtue of her new storyline, now also appeals quite well to horror game enthusiasts. 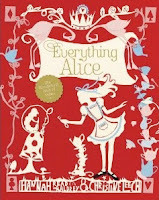 The Alice character everyone knows from the books is appealing because of her fantastic imagination and curiosity; with the games we’ve turned that imagination into a sort of psychological super-power and used curiosity to drive her towards overcoming sometimes horrific obstacles. What was the inspiration for turning this fantasy into something terrifying? Are there any other horror games or movies that inspired this vision of Alice? McGEE At the moment of inspiration for the game, I was listening to “Trip Like I Do” by the Crystal Method. Back at my desk it was Rob Zombie’s “Living Dead Girl” and various tracks by Manson, NIN, Tom Waits and more that really drove a lot of the initial tone for story and characters in the game. Games didn’t so much inspire the core ideas as inform me as to what I didn’t want to do—having come from a background of development on games like DOOM and Quake, I badly wanted to move away from the “Space Marine” horror theme—and Wonderland offered a great opportunity to explore really surreal environments and characters. Alice turns another corner and finds herself in Fingers Forest. This mini-forest in a maze hold fingers of persuasion. 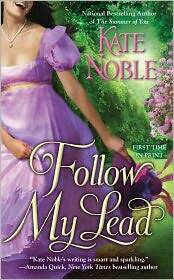 The race to unravel the mystery begins, and Katherine must solve it – for any day after her birthday could be her last. Visit David's site, leave a comment on one of his posts and let me know which. “There! Good enough to eat!” I, CatKid, shouted as soon as I finished drawing my newest scribbled masterpiece on the walls. Then I smiled my whiskers real proud. That’s because coloring a crayon masterpiece is tough work. “How did you…I mean, can you really eat those?” Alice asks. I smile my whiskers and lick the melted chocolate chips from my lips. “Only if you use the right crayons,” I say. Then I hand her a cookie, only she refuses to eat it. I roll my eyes. I think maybe this girl is crazy. 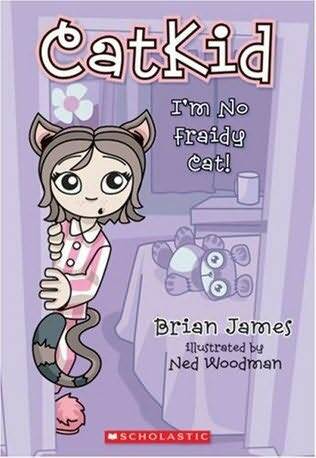 Win a book from the CatKid series! Visit Brian's site, leave a comment on one of his posts and tell me where. While wandering through a maze in Wonderland, Alice comes across a group of unusual...Things. 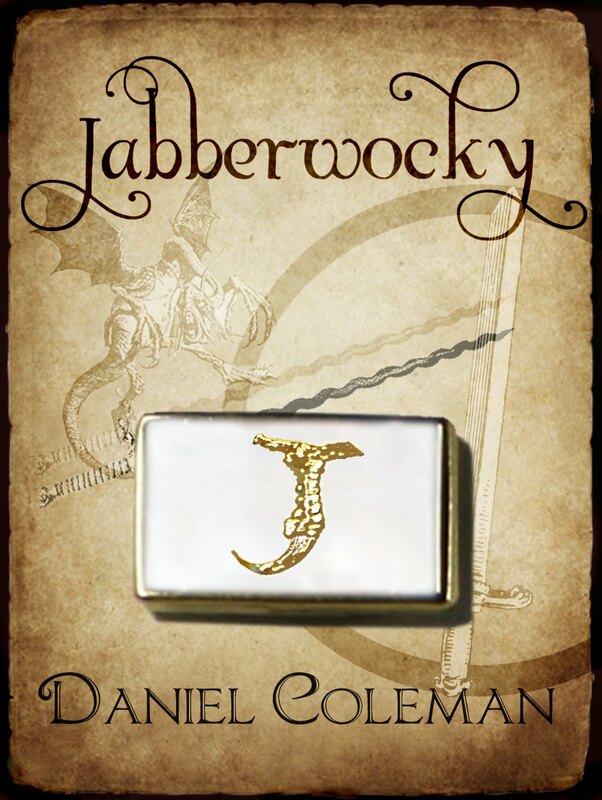 Ollie, a character from Daniel Coleman's novella, Jabberwocky, also stumbles upon the odd gathering. "And what curious fellows are these?" asks Alice to no one in particular as she turns a corner in the maze. "Creatures?" asks one of the peculiar little people. "Where?" "Why, all around, of course. Including you I should think." The pointy-nosed, blue-haired youth gives her a perplexed look. "And I should think the only creature here is you." "Me? But I'm no creature. I'm Alice." "And I am Thing 448." A short young man carrying a bow enters the clearing holding an arrow to the string of his bow. When he sees the odd scene he says, "Chipper chaps cheerfully chatting and...chasing?" "Good morning, Sir," says Alice, for though the youth is only a few years older than she, he wears a uniform. "Ollie," he answers. 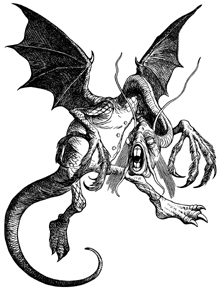 "Have you seen a Jabberwock perchance?" "I'm not familiar with such a creature, unless these lads are Jabberwocks." "Neither creatures nor Jabberwocks," says the smiling elf. "After so much time in Wonderland, I would think one would learn it isn't respectable to beg." The odd little people run and jump and jabber throughout the large clearing. "Quite the contrary," said Alice. "It seems the longer I stay in Wonderland, the less I seem to learn." "What kind of creatures are these?" asks the soldier. "They aren't creatures at all," answers Alice, proud for having learned something. "But I haven't yet discovered what they are. 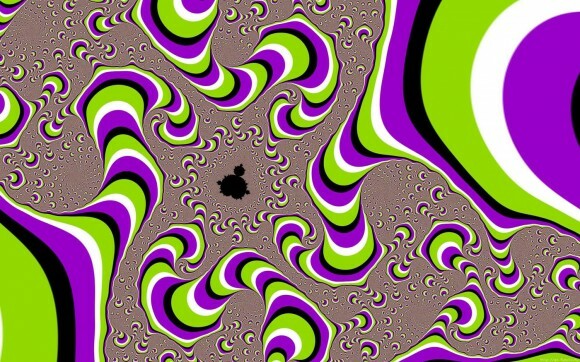 Although I think learning that you don't know things is not the same as learning things. " 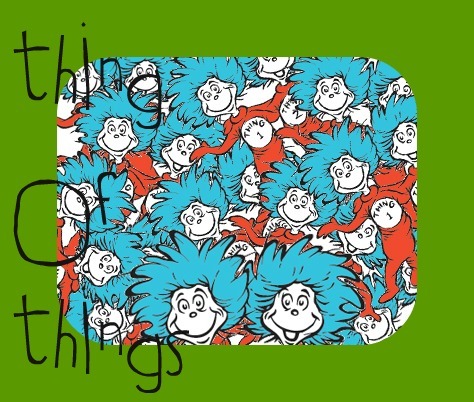 "Things! Yes," says the minikin and offers a hand to shake. Alice accepts the hand; to do otherwise would surely be poor manners. "And are you a boy or girl Thing?" "Why should I have to pick one?" "Pick?" asks Alice. "Why, one doesn't pick. One just is." "Unless one isn't," says the Thing. "How can one isn't?" asks Alice. "I mean, how can one not be?" "I don't know what that has to do with the question," replies Alice. 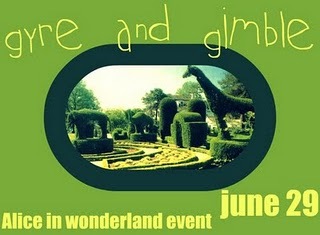 Is there no end to such creatures in Wonderland? "How can you know if you haven't answered it?" "Alright then, I'll answer," Alice says. "I am not a number?" "And how can one not be a number?" 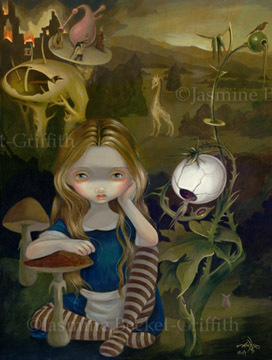 The small creature looks as confused as Alice feels. "The same way one is neither a boy or a girl," says Alice. "I don't think I'll ever see." While Alice tries to make sense of the logic, Ollie speaks up. "As entertaining as this has been, I need to find Tjaden before he finds the Jabberwock." With a small bow he adds, "Farewell, flustered female. Find fortune's favor." Thing 448 returns to his romping and reveling. Alice, as perplexed as ever, wanders back into the maze. 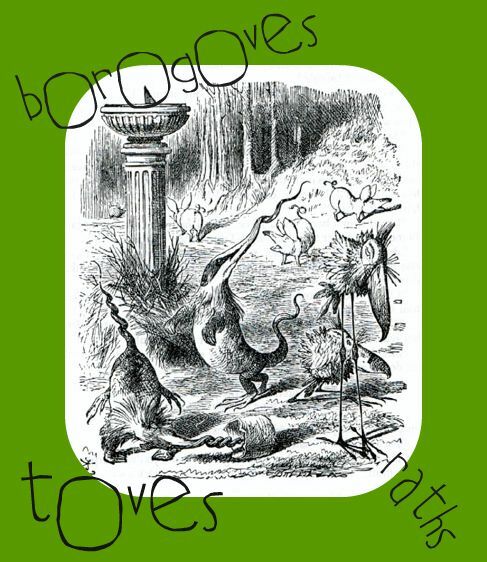 Alice has decided to leave the company of bogovoes, tove and raths. 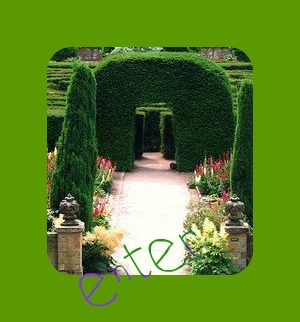 She is being called to enter the Maze and explore its treasures encased within the hedges. 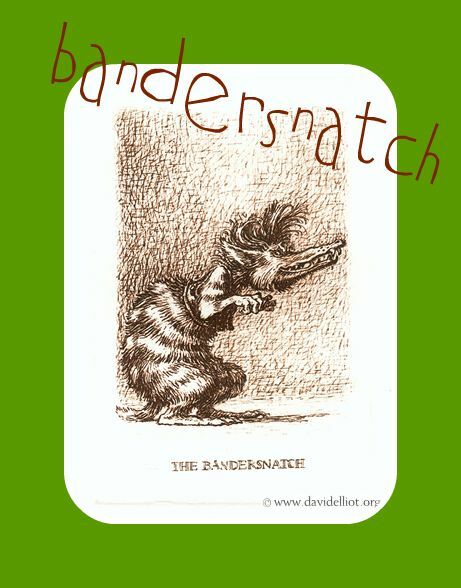 However, she will have her vorpal sword close at hand in case she runs into the Jub Jub bird, Bandersnatch or Jabberwock. Do you dare join her on this venture??? 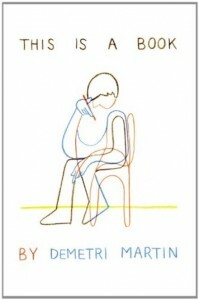 Demetri's first literary foray features longer-form essays and conceptual pieces (such as Protagonists' Hospital, a melodrama about the clinic doctors who treat only the flesh wounds and minor head scratches of Hollywood action heroes), as well as his trademark charts, doodles, drawings, one-liners, and lists (i.e., the world views of optimists, pessimists and contortionists), Martin's material is varied, but his unique voice and brilliant mind will keep readers in stitches from beginning to end. Bandersnatch - what paranormal creature do you hunt? krysykat of Because I Said So - I'd hunt Will 0' The Wisps, catch them with my paws. and maybe let them go just to catch them again. It may or may not be frumious, but this original anthology from Tremblay (City Pier: Above & Below) and Wallace (Jabberwocky 2) positively revels in the "strange, dark, and unpredictable." Nearly all the 13 stories have both feet firmly in the avant-garde. Several tilt toward black-humored horror, and even the authors' bios run to the bizarre. Talking animals and strange landscapes abound, from the taiga and bears (but no lion) in Alan DeNiro's surreal opening tale "Taiga, Taiga, Burning Bright" to the genetic hybrids in Karen Heuler's "Down on the Farm," which concludes the volume by evoking both Poe and Orwell. Dogs in particular are well represented, figuring in Heuler's story as well as Ursula Pflug's "Border Crossing" and Bogdan Tiganov's "The Children." An iguana and a soda can trade quips in Seth Ellis's "The Sidewinders," and "Scar Stories" by Vylar Kaftan personifies a cat, a punchbowl and the party where they're present. 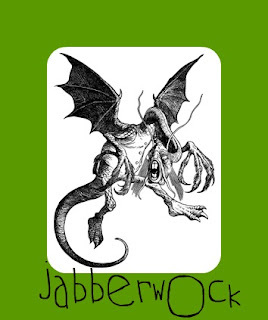 Jabberwock - what is your favorite fruit? 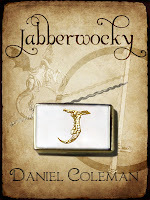 Jabberwocky, a short novel by Daniel Coleman, is the untold story inspired by Lewis Carroll’s epic poem. Meet the characters and creatures that inhabit the world long before Alice ever fell down the rabbit’s hole. 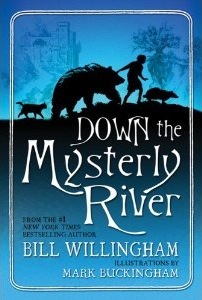 Win a signed print copy of this book! Visit Daniel's site, leave him a comment on one of his posts and tell me where. 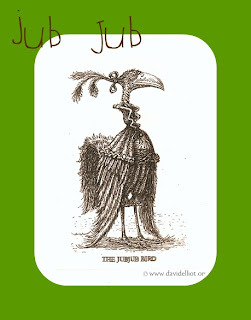 Jub Jub bird - what is your passion? Whether you’re looking to throw an Alice in Wonderland themed party or just love to add a bit of Mad Hatter whimsy to whatever you make, Everything Alice has something for you. Inspired by Alice’s Adventures in Wonderland and Through the Looking Glass, Hannah Read-Baldery and Christine Leech dreamed up more than 30 projects to make and bake, including a hand-sewn White Rabbit toy, pompon-decorated slippers fit for a queen, a curious cake stand made out of vintage dishware and a selection of royally delicious recipes. Add to the mix charming photography, exquisite paper-cut illustrations and snippets of Wonderland lore and you've got a craft and cookery book that's as fantastical and fun as the tales that inspired it. Mome raths - what shade of green are you? Are you attending this Alice event as one of the three above? OR are you one of these three - jabberwock, jub jub bird, bandersnatch? IF you are a Borogove, Tove or Rath, please answer your individual question as well. Welcome to a day with Alice! It is a hot summer afternoon and we sit with our Alice beside the tum tum tree. Alice spies movement in the hedges over yonder. We walk across the lawn and witness toves in the wabe. Let's get in queue! Alice squeals with glee. 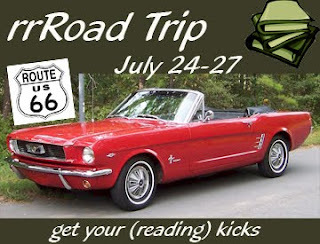 * this schedule also houses complete books mentioned for this event. She stretched her arms in front of her like a zombie and wandered around the living room making woooo noises. I am still new to the demon world and this story was a good way to get them on my good side. 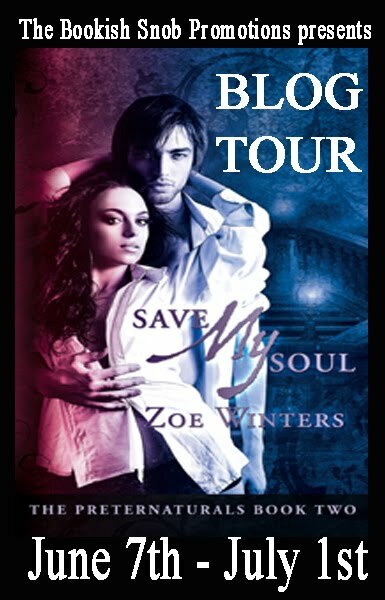 Luc is such a sweet demon if demons can be sweet that I found him as irresistible as the main character, Anna. I should also mention that the demon focus was on an incubus. 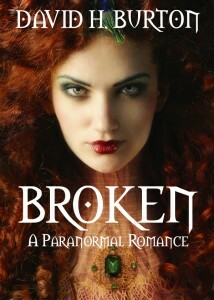 ooo, and there is a cool twist in the end that I liked to this paranormal romance. 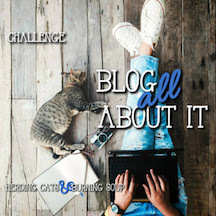 Winner: AimeeKay of How can you help?